Did someone manage to get hyphenation to work? I set spelling, hyphenation, … in the character panel to „German“, switched on hyphenation in the paragraph style, but nothing happens. Will the necessary libraries only be part of the release version? At the beginning, thank you for making the beta available on time I join the question about dictionaries. 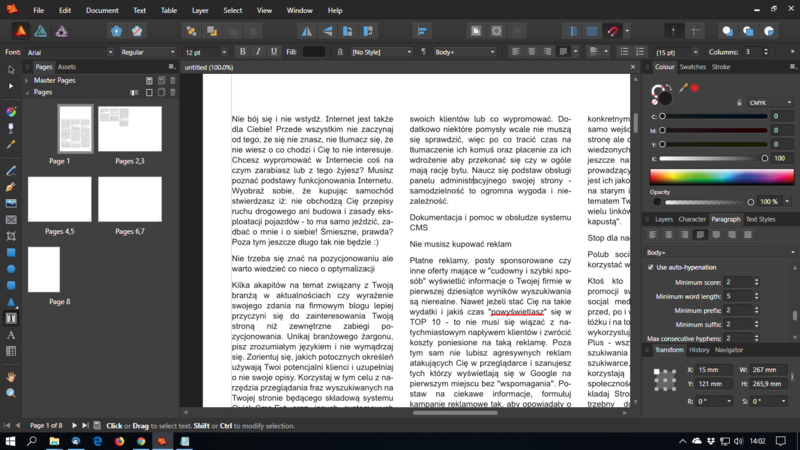 I need hyphenation in Polish. I'm sorry, I did not notice it was a 'Mac' topic. I moved to the 'Win' topic. A solution for implementing the Polish dictionary. Download the files downloaded from https://donate.libreoffice.org/home/dl/src/5.1.3/all/libreoffice-dictionaries-5.1.3.2.tar.xz?idx=2 and place them in the place shown in the screenshot. You can probably use this method for other languages. As I said: I think I have set all relevant options, but no hyphenation at all. Could somebody please check this with a German text? Make sure at each language section in your text style it is set to German. There is a bug in the last language setting--the Hyphenation Language will revert to no change. Set the score lower. Basically I just set it to 1 right now. Thanks for tip. Tried on macOS with czech language, not succesfull. EDIT: after few restarts, it's working now. But hyphneation really really need some aditional work as mentioned already. You are right @MikeW. Hyphenation is working, but really really bad! Try to hyphen „Rolltreppe“, it won’t work. You have to insert a soft hyphen. By the way: If Publisher would use macOS’ hyphenation support, it would do the job! I agree with mac_heinu. The german Hyphenation is not usable yet. Try to hyphen „Rolltreppe﻿“, it won’t work. You have to insert a soft hyphen. Did you try setting the Score to 1? Pardon the squigglies. I should have shut that off for the screen shot. The other settings matter, too. But yes, Hyphenation needs some serious work. Ups! How embarrassing! Score to „1“ works. Thank you! No worries! Hyphenation needs work. That setting is the only useful one for any language. It shouldn't be. Works for me too on Mac! Thanx to pgraficzny. No luck with Galician language. I was able to create a /gl-ES directory in /Contents/Resources/Dictionaries, the language appears in the list of possible hyphenation languages but it doesn't work (even with score=1). Curiosly, if I replace the hyph_gl_ES.dic file with the Spanish file (in the /gl-ES directory), that fake Galician hyphenation works. Any suggestion? Does this look right to you? I do not read/understand the language so I have no idea if even the web pages I copied from were correct! Thank you very much for your message. Your first quotation is a medieval text. The last one is modern Galician. Everything is OK. How do you get that result? Brilliant! Thank you very much for your message. Your first quotation is a medieval text. The last one is modern Galician. Everything is OK. How do you get that result? Brilliant! Maybe the problem could be linked to the fact I am a Mac user? I'll upload a zip file. Back up your files, download the zip. The zip will contain a folder with the three files. 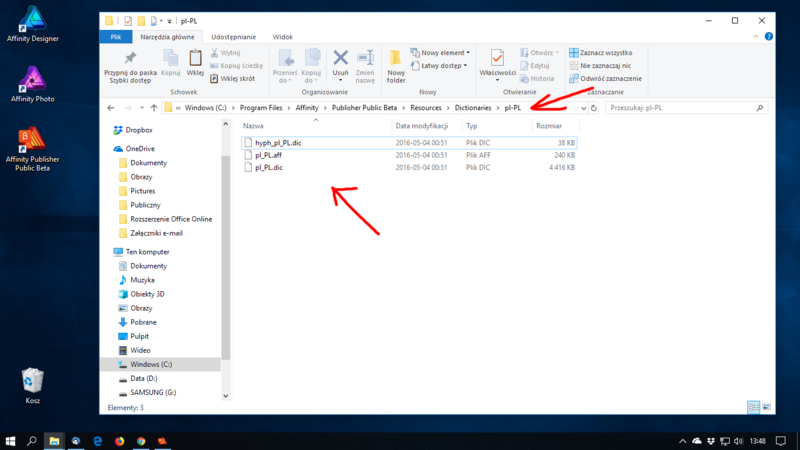 If the folder name is the same as your present folder name, just copy the files it contains into your folder. If the folder name is different, delete your folder and copy the folder out of the zip containing the files into the dictionary folder. It will be uploaded in a few minutes as I'm away from the computer right now. Thank you for the files. No problem if I use the Windows version, but Galician hyphenation doesn't work in my Mac. I suppose it's a bug. The hyphenation for pt-br is terrible, you need to fix this guys. And what about czech hyphenation – is it planed in the future? Would be nice to have finnish hyphenation. We have rewritten some of the hyphenation routines for the next release, and I would be grateful if all the participants can retest hyphenation once the NEXT beta build (so one with a build number higher than .133) is available. Thank you. If there are still problems can you make new threads with sample files, as this one has so many participants.